The Internet as the Final Battleground and Replay of Eden - Breaking Israel News | Latest News. Biblical Perspective. Last year, before the internet was publicly acknowledged as a weapon being wielded by superpowers against one other, Rabbi Shalom Arush, a prominent leader in the Hasidic movement in Israel, said in an interview that “technology and the mass of online abomination [is] spiritually murdering people”. “Gog and Magog are the chatrooms, the texting, the screens and social media that render people zombies, unable to think, communicate or read,” the rabbi said, presaging the alleged Russian incursion into the 2016 US presidential election. Rabbi Pinchas Winston, a prolific end-of-days author and educator, agrees that the internet is one of Man’s ultimate battlegrounds and has a particularly powerful role to play in the end-of-days. In this historical framework, each “hour” of “daylight” for each millennium is a total of 83.3 years, and the internet came onto the scene in the final “hour” of the current millennium. The rabbi explained that the internet, corresponding to Adam’s failure, is a replay of the event and a second chance that is taking place in the Messianic era. The rabbi noted that the snake caused Adam and Eve to sin, creating a blemish in knowledge that led to man’s expulsion from the garden. Rabbi Winston pointed out that in gematria (Hebrew numerology) nachash (snake) equals 358, the same as the word moshiach (Messiah). Rabbi Doniel Katz, a Torah educator who lectures on consciousness, also acknowledges the role the internet is playing in the end-of-days. “There are many key elements making up the end-of-days, and technology is certainly a part of that,” Rabbi Katz told Breaking Israel News. Rabbi Katz cautioned that this power bears a potential stumbling block that also connects to its source in the Creation Story. “There are kabbalistic sources which explain that what happened with the eating of the fruit affected sexuality. The Hebrew word for ‘knowing’ is yadah,” the rabbi said, citing a verse from Genesis. 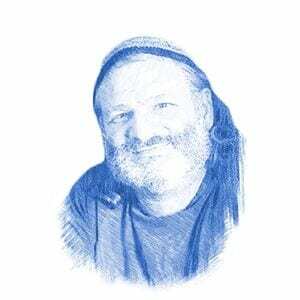 Rabbi Winston’s views on Redemption are explained in depth on his blog, The Geulah B’Rachamim Project (redemption through mercy).